Huawei Ascend P1 is now available from online retailers in India . The Huawei P1 has 4.3inch Super AMOLED Display with scratch resistance corning Gorilla Glass protection . It draws the power from Dual core processor cloacked at 1.5GHZ frequency . It has 1GB of ram and 4GB of ROM (internal memory ) . Sadly the device is running on Android 4.0 ICS . The Ascend P1 has 8MP rear auto-focus camera with Dual LED flash and 1.3MP front facing camera . The device is capable of playing 1080p Full HD videos & recording as well . For better multimedia enrich experience it comes with Dolby Surround Sound . It weighs 110 grams & is 7.69mm thick . The same houses a 1670mAH battery to power it . Also check out review & unboxing of Gionee Dream D1 with 4.65inch SUPER AMOLED display , Quad core processor . 4.3inch qHD Super AMOLED display . 1.5 GHz dual-core processor . 8MP rear camera with dual LED Flash and 1.3MP front-facing camera . 3G HSPA+, Wi-Fi 802.11 b/g/n, DLNA, Bluetooth v 3.0, GPS , 3.5mm audio jack, FM Radio, micro USB . 1GB RAM, 4 GB ROM . Expandable up to 64GB via microSD . 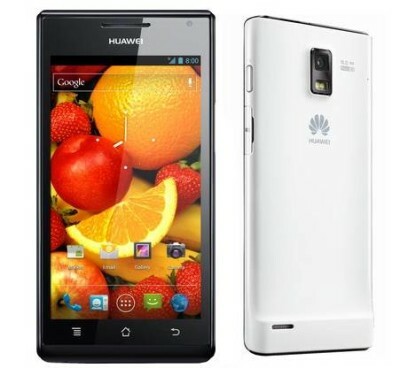 Huawei Ascend P1 is available via flipkart for RS 12290 .